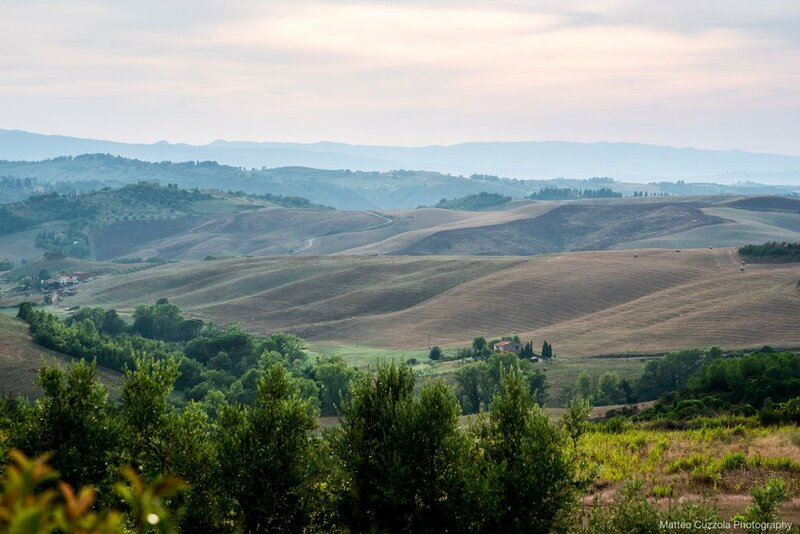 At GIOVANNINI ENTERPRISES (GVE), our mission is to ensure our clients experience the truest form of Tuscany, without the fuss. We are family owned companies, operating in Tuscany & abroad for over 35 years, offering personalized services to our clientele to accommodate their individual needs. We are your all-around Tuscan planner and host. As the owners of the luxurious Villa, Country Relais & Spa Le Capanne, we complete the whole, as we also own the oldest shop in Volterra, Dolceria del Corso (our pasticceria) and the second oldest catering company in Providence of Pisa: Dolceria del Corso Catering & Banqueting. In addition to this, we are certified planners, provide full bar services and produce our own extra virgin olive oil. We can plan your destination wedding, family vacation or corporate retreat/workshop. 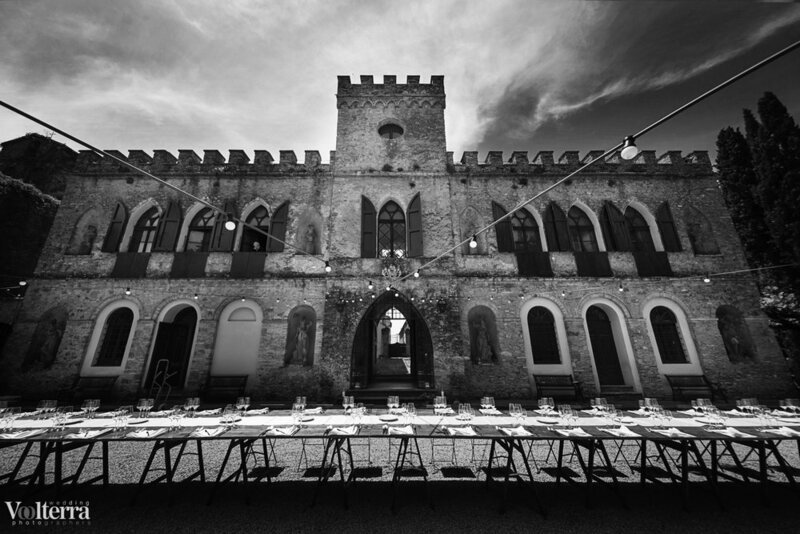 Our tradition is pridefully providing our clients with all the traditions & excellence Tuscany has to offer. We always source our food, work and supplies locally; only using the highest quality organic produce. We work hand in hand with our clients every step of the way; stopping at nothing to provide our clients with the highest standard of care. Take your dreams seriously and do not be afraid to share them with us, we would love nothing more then to work for you to make those same dreams a reality. Country Relais & Spa Le Capanne is a 100+ year old farmhouse we purchased and later renovated in 2014. It is a luxurious country Villa, located in the Tuscan countryside of arguably one of Italy's most historical and prominent cities: Volterra. Adjacent to us, is Ulignano's Natural Reserve Park: Reserve Natural di Monte Nero, great for hiking. Villa Le Capanne is nestled on 75 acres of land, where we contribute to the growth of our local community. On our land, we farm organic grain and with 400 olive trees, we produce our own Organic Extra Virgin Olive Oil: Vera Toscana. For our clients, fig trees, berry bushes, asparagus ferns, lemon bushes, mint, rosemary and basil grow. With 360 degree panoramic views of Tuscany, Villa Le Capanne offers exquisite, breathtaking views from every angle. The property offers a variety of private and shared spaces, perfect for large family holidays, corporate retreats and destination weddings. With nine en-suite, double bedrooms, Villa Le Capanne is ideal for large groups looking for a peaceful, private escape to relax and unwind. The Villa is fully air-conditioned and offers Wi-Fi throughout the Villa, courtyard & pool area. We offer a 24-hour concierge service for our clients, we will plan and arrange everything you request on demand (city tours, wine tours, truffle tracking, cooking classes, vespa rentals & more). accommodate all weddings styles, so believe in your fairy tale and let us, help you tell the story. At Country Relais & Spa Le Capanne we host all events, from small and intimate weddings to large and extravagant weddings, from informal parties to formal black tie attire. Each event we host is unique, exclusive and tailor made to fit our clients. The most important advantage, is we allow our clients the freedom to dream, explore, love and dance until the sun comes up! As your venue, caterer and wedding planner, together we are limitless on the opportunities to make sure your wedding is everything you have dreamed of and more. 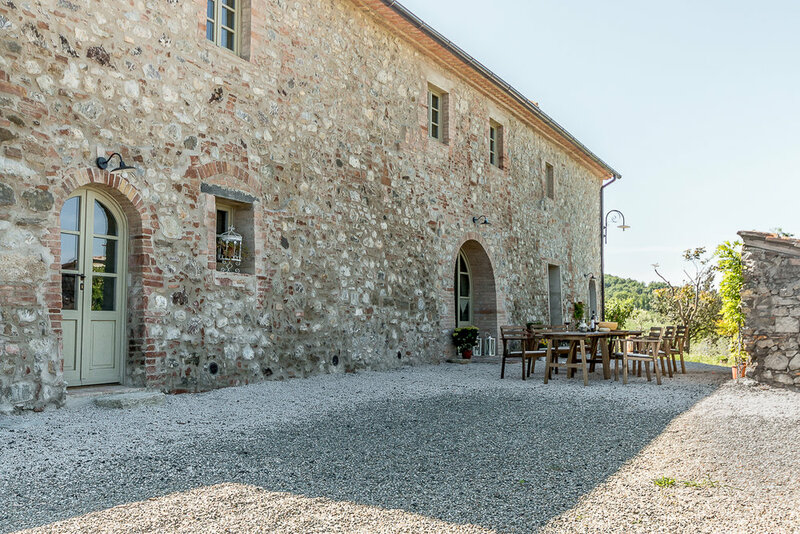 Allow the Villa to speak volumes for you, offering your guests with their own perfect, private piece of Tuscany. With the highest quality of food, wine and hospitality, partnered with the perfect venue, your guests will have no doubt about where they are in the world. Enjoy the Traditions and Excellence Tuscany has to offer, we will not impose on your dreams or ideas, we will compliment them and work tirelessly to achieve them. tailored to our clients individual needs, we are always on scene to manage the event at hand. Let us treat you to the finer things, Tuscan style. Our catering company is quite skilled and versatile. We are a farm-to-table style catering company, meaning our organic produce is always sourced locally at the highest standard. As planners and event coordinators, our expertise ranges from causal pizza parties to exclusive private gala events. We pride ourselves on providing our clients with the highest form of professionalism and care as we cater to their needs. Our food is always freshly prepared in the kitchen for our clients to see. We are experienced in all areas; stoping at nothing to always create something simply unique and extraordinary. Corso. A family owned company, based in Volterra, now ran in partnership with their son, Dario and his wife, Vera. For over 30 plus years, Giancarlo has been at the forefront for his expertise in pastries. As a second generation pastry chef, he has pushed the bounds of cake making, transforming the idea of a wedding cake. He perfected the flavors of our Millefoglie in Bellavista and has the charisma to put on a show each time he makes it. For over 30 plus years, Fabiola has been the heart of our catering company. With recipes passed down for generations, she gives our clients authentic Tuscan cuisine. With ease she cooks for all parties and is truly passionate about the art of food; making sure each dish is a piece of Tuscany for our guests to enjoy. As an entrepreneur in the field of hospitality and tourism, Dario has been able to produce and connect the missing components to build an enterprise name. He is a visionary and an agent of change; rewriting the social norms of Volterra and flooding the city with new opportunities to enhance consumer satisfaction. Vera lives in the unforeseen details. As a designer and leader, she is able to see the infrastructure and connect the pieces. She works extremely close with Dario, as they rewrite what it means to vacation and wed in Tuscany. She offers the fresh new perspective on travel, business and design as a whole. Our client's feedback is critical and crucial to our growth, success and development as an enterprise. Our clients come first and their words matter. 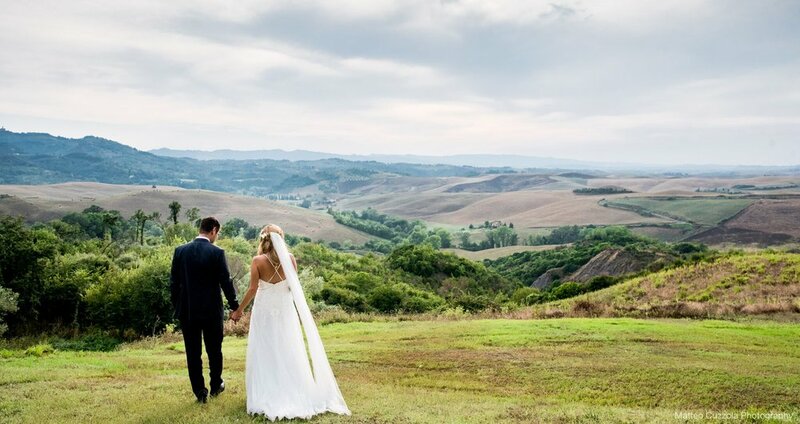 "We scoured the Tuscan hills looking for a suitable venue for our wedding and looked at many, but le Capanne had the magic! The villa itself has all the charm of rural Tuscany with authentic modern styling and breathtaking scenery from every opening. Dario, Vera and all the Giovannini family were fantastic from the very start. Their help and organisation was invaluable to our preparation and on our wedding day itself their service and attention to detail way exceeded our expectations. The food was to absolutely fantastic. We will be highly recommending this place for any special occasion and will be forever grateful for finding this gem. We are already thinking of our next big celebration as an excuse to come and stay again! Thank-you!" "I was lucky enough to stay here as part of a Lovegrove photography workshop. This venue is so beautiful, peaceful and I really didn't want to leave. The rooms were stunning, the food gorgeous and the staff amazing. Looking forward to going back again some day." Powered by Squarespace. This website is owned and managed by GVE, LLC.